What Colors Are Best To Use Around My Workplace? Home» What Colors Are Best To Use Around My Workplace? Color has a powerful psychological impact on people's decisions and behavior. In fact, it's one of the reasons why paint colors are such a top priority when painting the inside of an office or a retail store. 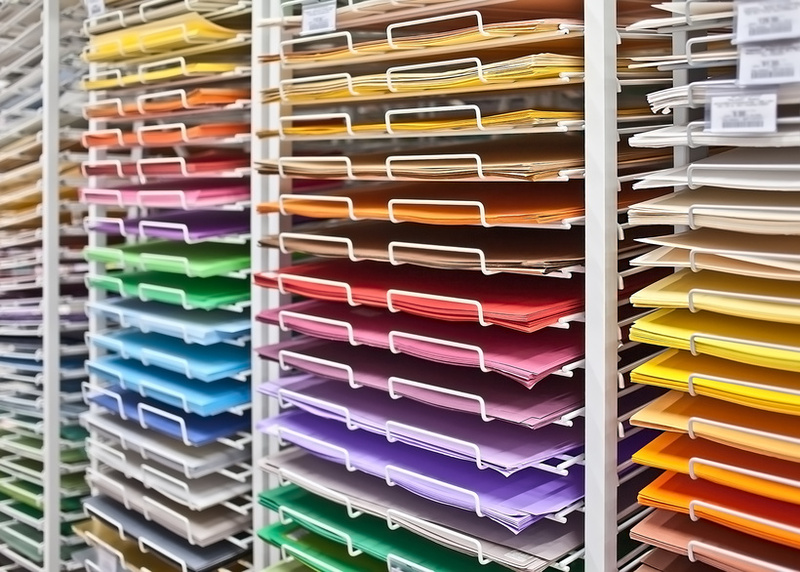 Color can influence the way your consumers feel about your business. But what are the best colors to use in your branding? Colors can't make a consumer believe in your business. But it can influence consumers' feelings based on prior beliefs. For instance, consider your business' good reputation. The color blue in your workplace could help to reaffirm that reputation in new customers. Red. Red creates a sense of urgency. It also stimulates the body's blood pressure and heart rate. Orange. Orange is a cheerful, citrus color. But be careful which shade you use. Certain shades, like traffic cone orange, can trigger a sense of caution. Yellow. Yellow is another cheerful color. It's great for catching the eye of your consumer because it's the first color the eye recognizes. Green. Green is associated with nature, health, tranquility, and power. Blue. Blue is a calming color that's associated with trustworthiness, tranquility, and wakefulness. White. White is often associated with cleanliness and safety. But too much white can cause a workplace to feel sterile. Where do I include color in my workplace? Where you choose to include certain colors in your workplace and around your place of business depends on the impact you want to have on your employees and consumers. For instance, using blue in your custom valet tickets could tell your customers when they use your valet parking that you're a trustworthy and reliable business. Using gray in your valet tickets can also tell them your business is practical. Be sure to be careful with the color placements you do choose. If you want to use red to catch the eye of your consumers, be sure to use it sparingly as an accent color. Too much red can make consumers feel anxious and agitated. Where can I find custom valet tickets for my business? Valet parking is a great way to gain the trust of your consumers. In fact, approximately 146,360 parking lot attendants were employed in 2016 alone. Whether you're looking for custom valet tickets for your business or for an event, Valet Tickets offers custom valet ticket printing to meet your valet tag needs. To learn more about valet ticket printing for your business, contact Valet Tickets today.